"We're glad to welcome Belgian artist Peter Verwimp and his shamanistic guitar driven soundscapes. The first instalment for the Rites series touches on the importance of ceremony and ritual in our daily lives. It deals with our interconnectedness with nature as a whole and the necessity to acknowledge and use this connection as an amplifier of thoughts, ideas and emotions. Minimal, meditative ambient drones with layers of meandering guitars and voices mixing elements of doom, drone and ambient experimentation. Rites I & II take a shamanic and animistic approach to our surroundings, unveiling inner and outer visual landscapes, a journey through flesh, sound and spirit." LP version. "We're glad to welcome Belgian artist Peter Verwimp and his shamanistic guitar driven soundscapes. The first instalment for the Rites series touches on the importance of ceremony and ritual in our daily lives. It deals with our interconnectedness with nature as a whole and the necessity to acknowledge and use this connection as an amplifier of thoughts, ideas and emotions. Minimal, meditative ambient drones with layers of meandering guitars and voices mixing elements of doom, drone and ambient experimentation. Rites I & II take a shamanic and animistic approach to our surroundings, unveiling inner and outer visual landscapes, a journey through flesh, sound and spirit." "We're truly honored to welcome US black ambient veterans Sutekh Hexen to the fold. 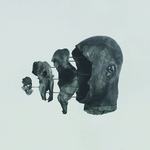 Both defiant and meditative, their latest self-titled full-length and first studio album furthers the project's inquiry into opposition, endurance, and paradox. Both hypnotic and cruel, these ten highly charged tracks transgress yet again any previously imposed boundaries while upholding their raw ethos at its root, and at times defying the listener's expectations altogether. Though tempestuous as ever, with this work, Sutekh Hexen reaches across thresholds and thrusts longtime listeners into redefined spaces: haunted disorientation, surreal agony, the distress of buried forces surfacing, a revelation of black tongues. Each track is a rite of clandestine horror through a distillation of power-ambient, industrial, and black metal deconstructionism. This is a new era of Sutekh Hexen, and it is a sharpening of their blade, a merciless lucidity. Let there be light." "We welcome Berlin based Italian Vince Gagliardi and his audiovisual project The Nent, whose dream-like aesthetic is rooted in a passion for broken ambient textures, eerie field recordings and poignant percussive elements. His debut album Vulner (mastered by Dadub Studio) offers 3 long progressions with explosive culminations. Mostly composed with field recordings and samples collected over the last sixteen years, all with a deep personal meaning. All tracks are interconnected and draw a path from innocence, to greed up to the inevitable extinguishment over time. The title Vulner defines a feeling of compassion to this cycle humans are vulnerably exposed to. His praised live performances infuse dark ritual rhythms and surreal visual imagery, constantly challenging abstract connections in the perceiver's mind." LP version. "We welcome Berlin based Italian Vince Gagliardi and his audiovisual project The Nent, whose dream-like aesthetic is rooted in a passion for broken ambient textures, eerie field recordings and poignant percussive elements. His debut album Vulner (mastered by Dadub Studio) offers 3 long progressions with explosive culminations. Mostly composed with field recordings and samples collected over the last sixteen years, all with a deep personal meaning. All tracks are interconnected and draw a path from innocence, to greed up to the inevitable extinguishment over time. The title Vulner defines a feeling of compassion to this cycle humans are vulnerably exposed to. His praised live performances infuse dark ritual rhythms and surreal visual imagery, constantly challenging abstract connections in the perceiver's mind." "A new collective led by former Hadewych member Peter Johan Nÿland, also a recent member of Trepaneringsritualen. Etmaal ('natural day') is the first in a series of explorations that aim to serve as a channel between the ethereal and chthonic, sacred and profane, the innermost black well and the outermost white sun. The album follows the circadian path as an analogue to the revelation of the actual self, with the sun as the inverted eye that unveils all things in their temporality, opposite the eternal inner black of night. Sudden transitions between coercive percussive hammering and sharp boreal drone pieces seek to mirror cosmic events; from glacial movements to throbbing punctuation and sudden death and with each end resolved arises a new tension and an attempt at cleansing and delving deeper with the intent of finally arriving at the inner clearing. In the recording process for Etmaal, the group effectively alternated between states of extreme focus and hiati in which subconscious impulses were allowed to arise and the result is an album that skillfully wanders an essential pathway between two planes in its own distinctive way. On this album, O Saala Sakraal is a five-piece outfit that consists of four percussionists; Scramasax (Volksweerbaarheid/Hadewych/Distel), Rene Aquarius (Dead Neanderthals, Fantoom, Krishna), Patricia Manko (Hadewych), Donné Brok (Donné Et Desirée) and Peter Johan Nÿland (Distel, Hadewych), the latter who plays tapes and piano-string percussion instrument 'draak', next to regular percussion. The group first came together for a series shows as Hadewych with an extended percussion section, but it soon became clear that its pieces - partly composed, partly improvised - claimed a realm of their own and drifted away from the overall sound of Hadewych, into something more monolithic, mystical and opaque." "New album of intense and carefully crafted soundscapes from Bulgaria's Shrine after his acclaimed 2016 album Ordeal 26.04.86. Based on the fictional story for Tomb Raider III, created by the British game studio CORE in 1998, the story begins in Antarctica millions of years ago, where a meteorite has crashed into the landmass and when the continent was still located in the tropics. Millennia later it was discovered by the ancient Polynesians who had reached the Antarctic coast and they soon realized that strange otherworldly powers surround the celestial rock and so the people began to worship it as a deity. After severe mutations started to occur among their newborn, the settlers fled in terror and never came back but before they left, they sealed the meteorite into a deep underground chamber, locked by four 'keys', four unique objects crafted from the same alien material as the meteorite itself. In the 19th century, a group of sailors travelling with Charles Darwin came to Antarctica and rediscovered the artefacts. The story follows the search for the four artefacts and the rediscovering of the meteorite, hypothesized to contain the most important findings in genetics and evolution since Darwin. We are aurally taken through this unique world through 6 singular chapters of pristine sonic grandeur. Artwork by Dehn Sora." "Syvys is the second demonstration of how Finland's Otavan Veret decipher the pulse of the great cosmic filaments. The radiation from the distant otherness takes audible form in four pieces of ethereal, pulsating atmospherics, where the multitude of transmissions is implemented via a curious amalgam of electronic and acoustic sources operated by Kaarna & XVL. As a result Syvys reflects the many phases of a stellar journey in a dreamlike state, encountering both enchantment and anxiousness." "Re-Issue. Imagined as the end of a cycle, initiated with 2012's Endessiah album, Severh Sehenh is not really the third album from Treha Sektori nor an EP. It's to be seen an appendix, a specific chapter of time. It consists of a lone track, cut into different movements. The material was formally composed for live performances, with the overbearing urge of facing eyes, to live through them. Imagined as a burden to carry, a day we didn't expect, and a final step that is unknown. No way to unload what is on our shoulders. Acceptance is the only way to trace a new path. Peaceful times with hard thoughts. Rough moments with joyful feelings. saveh erh anth ah erah leh, We will save what ties our throats. deverh ah temehera. koreska enh, We will remember in our hands, the day when we lost." "CD reissue. Dehn Sora, the man behind this unique project is also a member of Sembler Deah (featuring members of Amenra) and a long-time collaborator of the Church Of Ra. Recorded in complete isolation, in a moment of reverence and fury to create something physical yet unreal, the album unveils a music based on breath, the cutting of this breath, deconstruction and descent, meditative and ultimately broken. Eyes open for all, a fine rain of dust and hands falls for ages. Sorieh for "Sweat", the sweat of those who decide to create and edifice to go above the sun, without suffering burns. The last ritual has begun." "A collection of previously unreleased material from video and film works as well as material available on vinyl only and the audio material accompanying the Dehn Sora The Sensation Of Being One Of Them Book/CD. This last work was made in collaboration with Mudh and featuring guest vocals by Kristoffer Rygg (Ulver). 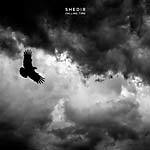 Also included is the track 'Onverth Emh' from the split 10' vinyl with Amenra, the track 'Dehn Semteh' from the split 10' with Innerwoud, the track 'Severh Devrah' featuring Syndrome from the Cyclic Law 10 Year Anniversary Label Sampler and previously available as video the track 'Sahe Fernah' and the track 'Ehiessieh' taken from the film score for the Lost And Found documentary directed by William Lacalmontie." "Remastered reissue of the long unavailable 2001 follow-up to Desiderii Marginis first album Songs Over Ruins. Work on Deadbeat began in 1999 and one specific aim was to create an album with a strong sense of unity and cohesion, to keep building on the sacral atmospheres of previous work but to aim for added depth and a darker, colder, more industrial sound throughout. At a time when dark ambient music was very much finding its way it certainly felt of the essence to create something with a wider expanse than before, and to try to make it personal as well as emotional amidst the gritty soundscapes. One could say that the delicate balance between the ugly and the beautiful, the harsh and the serene, the darkness and the light that has been a fundamental part of Desiderii Marginis since the onset, came into fruition with this album. Discover or re-discover this timeless classic. Features two previously unreleased tracks." LP version. "Remastered reissue of the long unavailable 2001 follow-up to Desiderii Marginis first album Songs Over Ruins. Work on Deadbeat began in 1999 and one specific aim was to create an album with a strong sense of unity and cohesion, to keep building on the sacral atmospheres of previous work but to aim for added depth and a darker, colder, more industrial sound throughout. At a time when dark ambient music was very much finding its way it certainly felt of the essence to create something with a wider expanse than before, and to try to make it personal as well as emotional amidst the gritty soundscapes. One could say that the delicate balance between the ugly and the beautiful, the harsh and the serene, the darkness and the light that has been a fundamental part of Desiderii Marginis since the onset, came into fruition with this album. Discover or re-discover this timeless classic. Features two previously unreleased tracks." 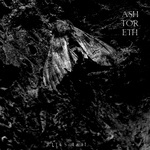 "Long awaited new material by one of Sweden's most revered dark ambient acts. Vita Arkivet translates from Swedish as 'The White Archive' and is an official document detailing ones funeral arrangements. In death our existence is whitewashed, the slate wiped clean. We start all over and we bring nothing with us were we go. We lose the agency of our own memory and leave it for those left behind to attend to, to continue our story, to write our eulogy. 'Vita' is also the Latin word for 'life', so the meaning could also be 'The Life Archive'. White is the colour of the casket lining, the plaster death masks and the walls of the chapel, it is the colour of the first and last pages. What is kept in between the covers of our life archives? This record is a personal reflection and manifestation of that process, the loss and the great detachment from life, from others, and from ourselves." 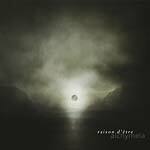 "New project by Austrian Arthur Rosar (former member of Abigor, Walser...). The album is a meditation on freedom from all passions (apatheia) and repentance (metanoia) through fundamental concepts established by early christian mysticism (the desert fathers) with respect to zen buddhism and pre-christian European traditions. An aural guide to force the removal of all illusions and be in total awareness of the eternal now, forging a stillness of the soul, going beyond the mundane. The music is a savvy achievement of total surrender through improvised analog atmospherics and field recordings. Recorded during lent 2016 A.D. by Arthur Rosar with Erik Mayer at Bethlehem, Vienna. Artwork by Dehn Sora." "With great honour we welcome one of Sweden's most revered craftsman of industrial soundscapes. Metempsychosis, the transmigration of the soul, is the basic concept for the new album from Henrik Nordvargr Björkk. However, not in the classic reincarnative sense, but as a study of how souls rather than being judged by a higher power, themselves chooses what flesh to inhabit. To freely roam between the dimensions and to cling on to any form of life at will. These cycles of life and death, bound in part by flesh, inspired to create these tense and organic atmospheres -- all synonymous with the journey of the soul. The result is a natural evolution of Nordvargr's trademark darkness into more rhythmic and vocal compositions where the confrontational stance of Henrik´s other projects shines through; from the harsh bombast of MZ. 412 to the vocals of Anima Nostra, all surrounded by the darkest Scandinavian aura of horror. Featuring guest vocals by Trepaneringsritualen and stunning artwork by Dehn Sora." "First solo work by Italian musician Martina Betti. Falling Time is an aural ticket to a non-place. Swirling ambient sounds made of processed field recordings converge into a richly textured and harmonically layered narrative. The tracks scan the phases of ascension to a suspended and formless destination, free from the bounds of time and space: a rite of passage. We are nowhere, a journey with no boundaries or restrictions transforming the smallness of ordinary life into transcendent magnitudes. Building on constant cinematic tension, frictions and collisions of sounds, through which the mind is transformed, freed from daily dualities, at one with its psychic abilities. Mastered by Lawrence English at Negative Space." "Celebrating its 100th release, Cyclic Law presents an exclusive collaboration between label owner Frederic Arbour's long standing project Visions and Russia's most enigmatic ritual formation, led by Alexey Tegin, Phurpa. Merging Phurpa's penetrating organic meditational chants with the slow-shifting, multi-layered textural drones of Visions, this unique joining of forces resulted in a vastly expansive, time bending spiritual ascent to the great emptiness. Channeled primordial sonorities to alter ones deeper psyche, realising the unity with the whole, the elemental cosmic life force that transpierces us." "New offering from Russia's shamanic ritualists Phurpa. Channeling the void with their eerie and engulfing overtone ritual chants rooted in the BON tradition of Tibet, their mesmerizing rituals are used as a tool of transmogrification. The chanting meditations are accentuated by the use nga drums, rolmo cymbals, gyaling oboes, as well as telescopic dunchen horns, dunkar shells and short wandun horns. Their performances are meant as exercises in aural power, channeled primordial sounds aimed to alter ones consciousness, otherworldly prayer mantras pulsating through the chakras. This exhaustive double album was recorded in Moscow, Russia in March 2016. Let go and touch the emptiness... Edition of 500 copies in Gatefold A5 sleeve."